The Photoshop mobile phone app is the Bozos new favorite "game" on my phone. These are some of their creations, made this morning, while waiting for the bus. 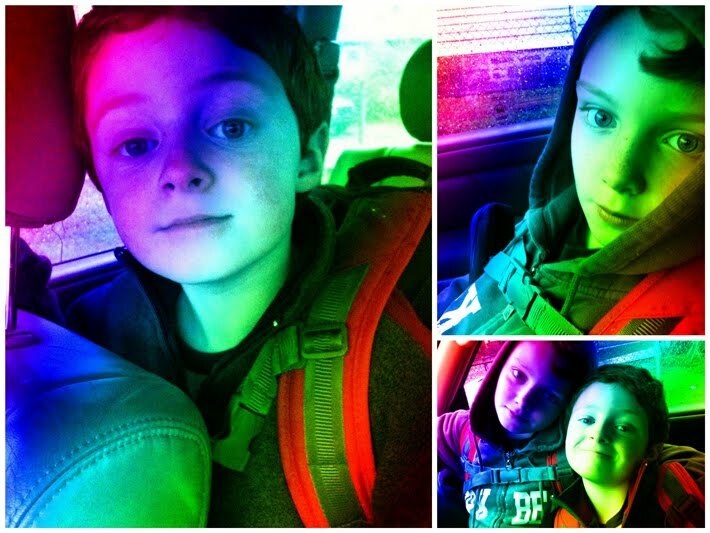 They have now added the "rainbow" effect to every picture in my phone's photo library. i got this app. i was actually going to tell you about it. haha.